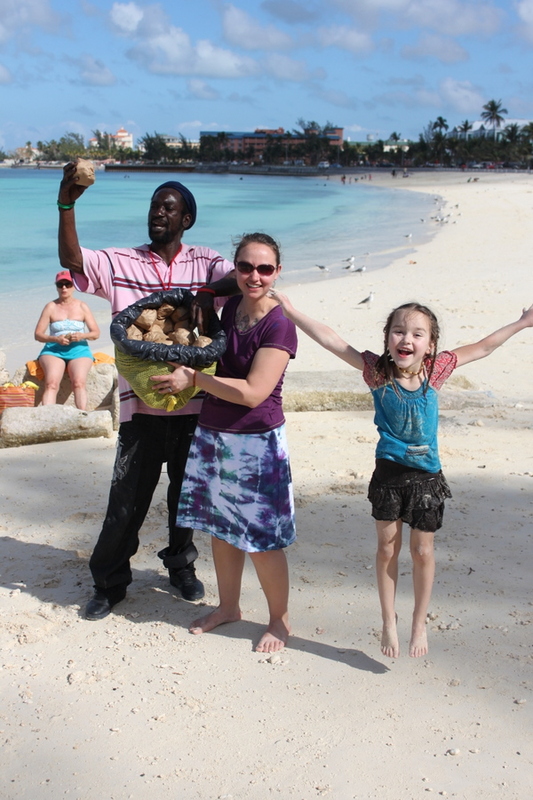 When I was in the Bahamas, the first day we were in a different island. It was a small town called Nassau. First we got into our hotel. It was really nice. Outside of our hotel it was like a big rest stand and there was a hammock chair. And then we ate lunch at a beach and there was a big boat. The boat got stuck in the sand and there was big construction to remove the boat. And then we got to San Salvador island. 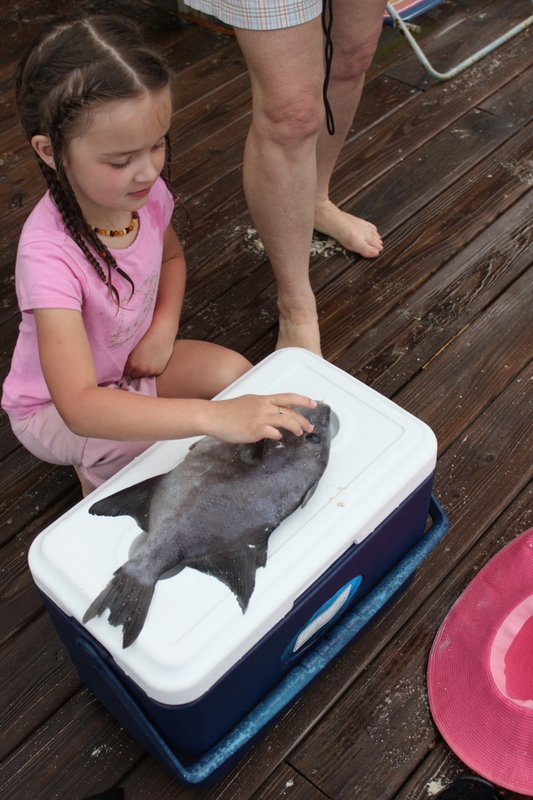 When we were at San Salvador island, we caught a flounder. It was bony and I didn’t really like it. 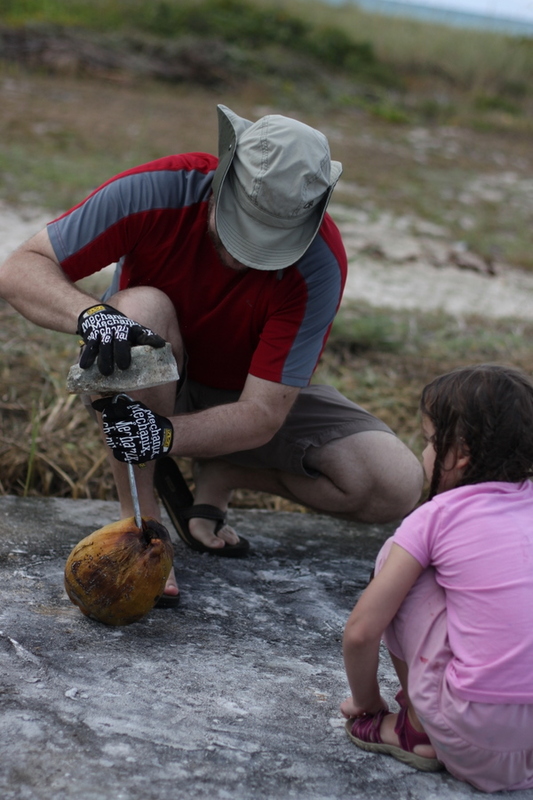 The next day me and Papa tried to open a coconut. It took a long time. 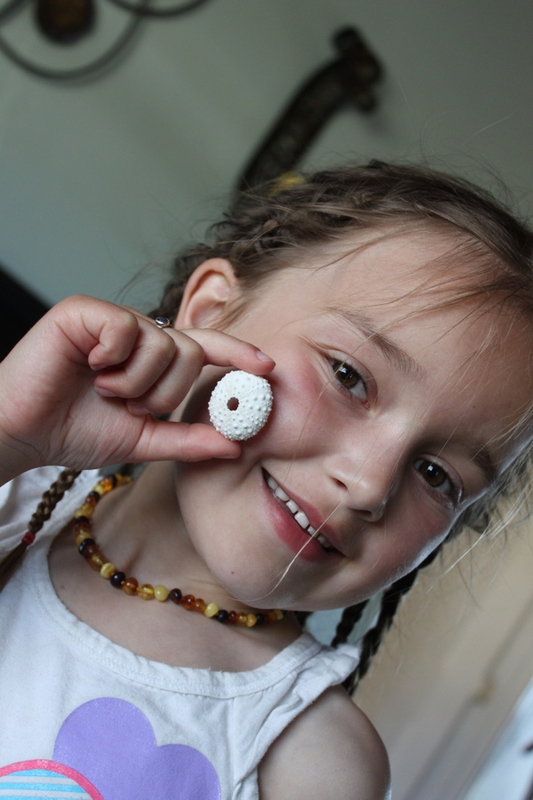 Mama’s wrote about how to open a coconut. Then after that day, we went to the tidal pools. We saw lots of snails. And I liked to pick them up and remove them to a different place. 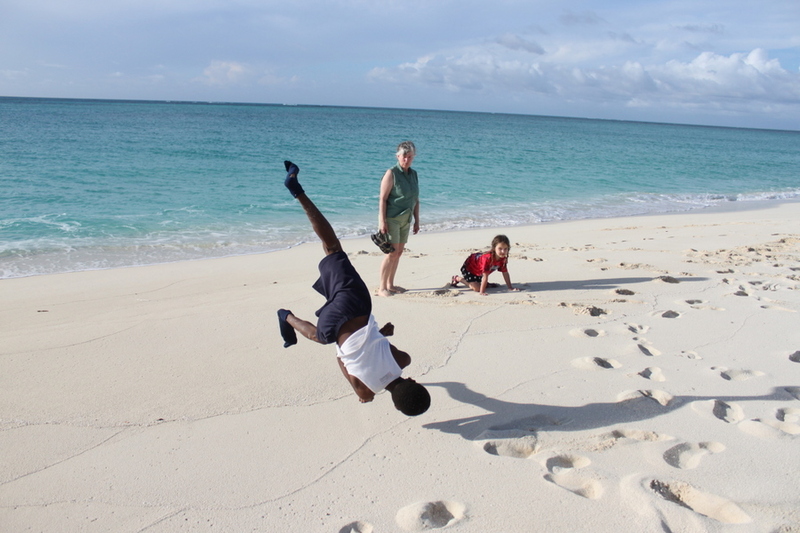 And then after that, we met three boys and they showed us how they did tricks on the beach. 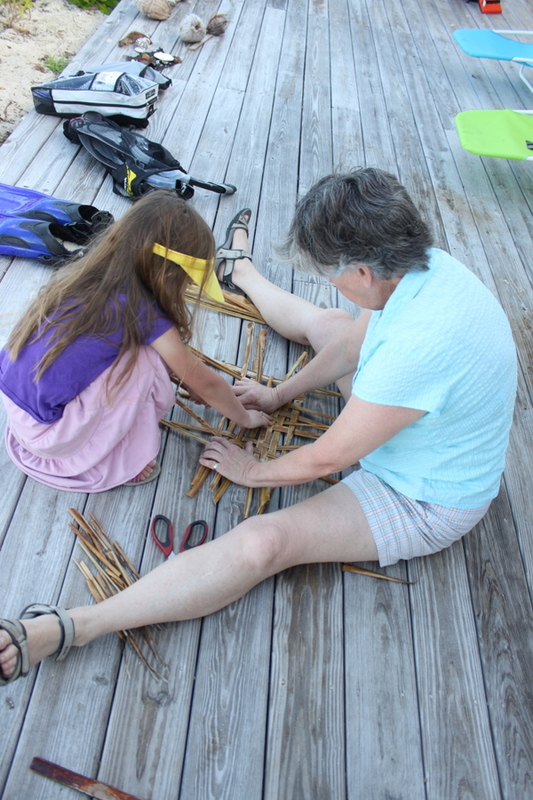 Me and Gram were weaving mats from dried up palm tree leaves. 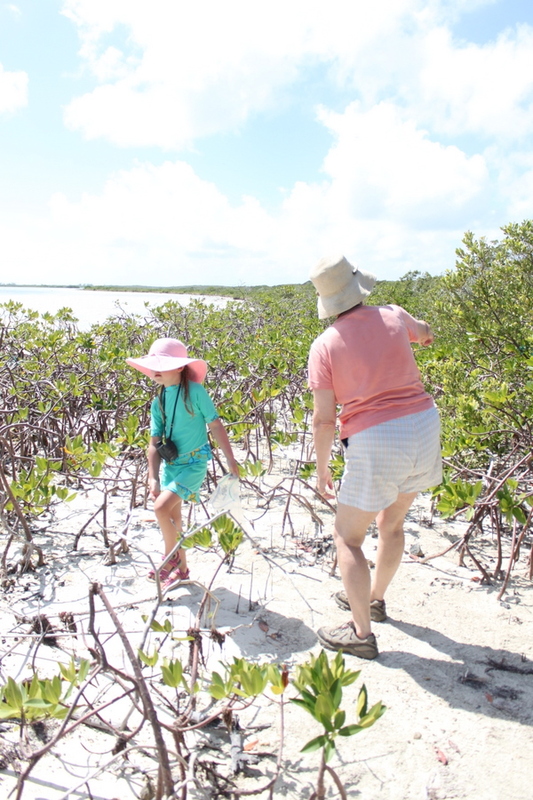 Then we went to the mangrove trees. A mangrove is a type of tree that lives in the Bahamas near like lakes and ponds and creeks. We saw snails living on the mangroves. 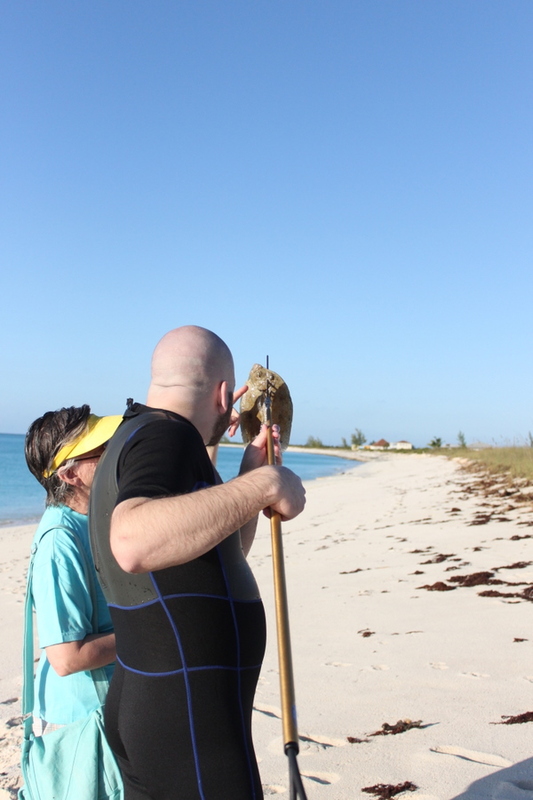 Then Alex caught a triggerfish. We cleaned it and cooked it and then we ate it. 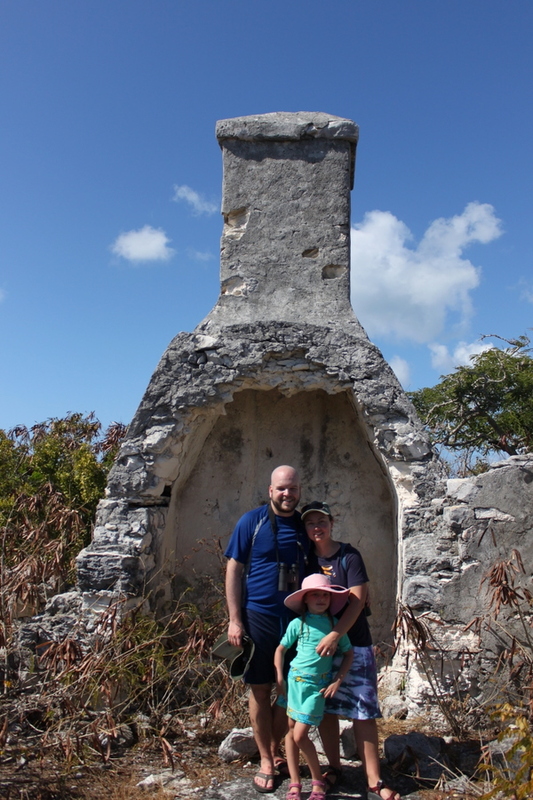 Then in the Bahamas we went to a old castle. And we stood in the old hearth. I found two sea urchins. Then we went home. 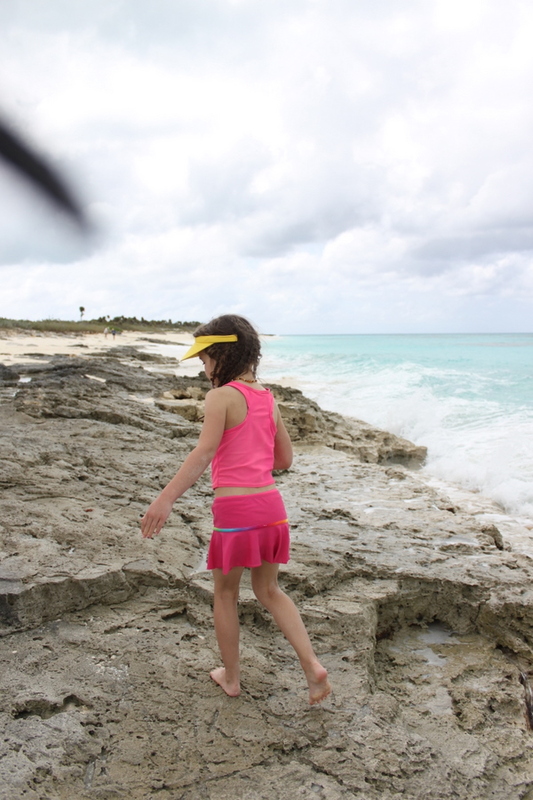 My favorite thing in the Bahamas was seeing all the cool fish and swimming and building sand castles. 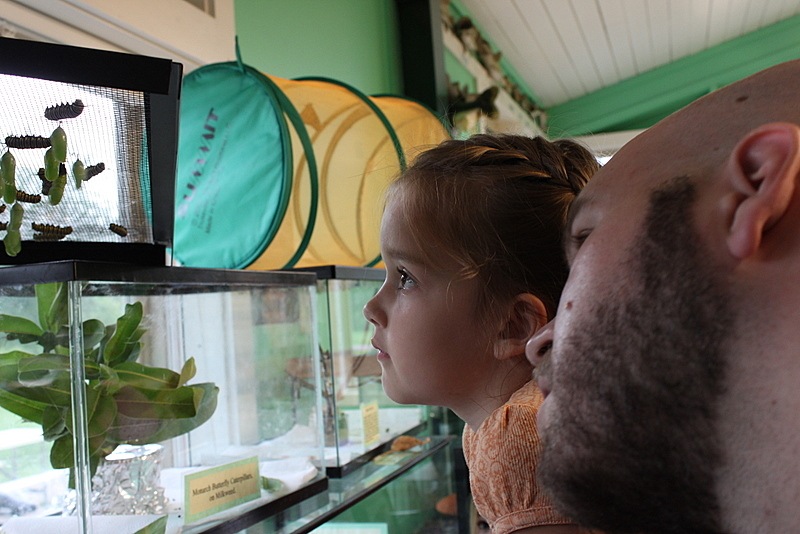 Me and Kaitlyn met at the nature center at East Harbor State Park. 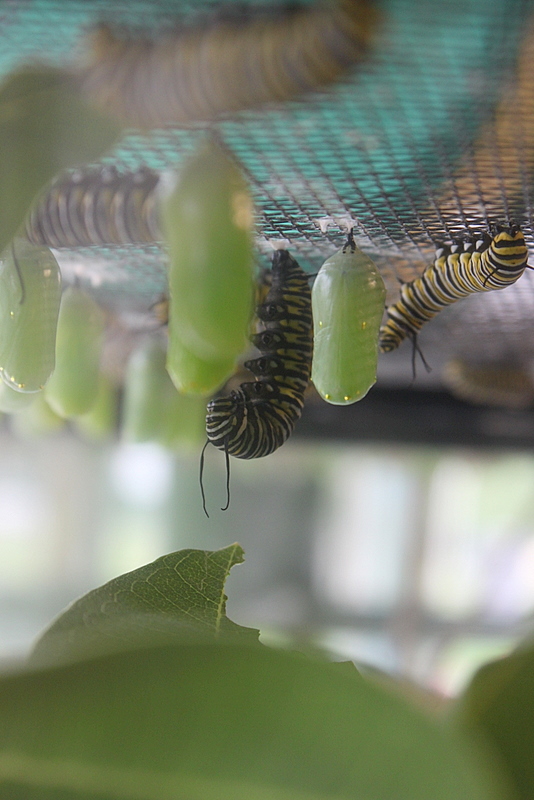 We watched a monarch caterpillar that was J-shaped at the top of a cage. First we waited a long time. 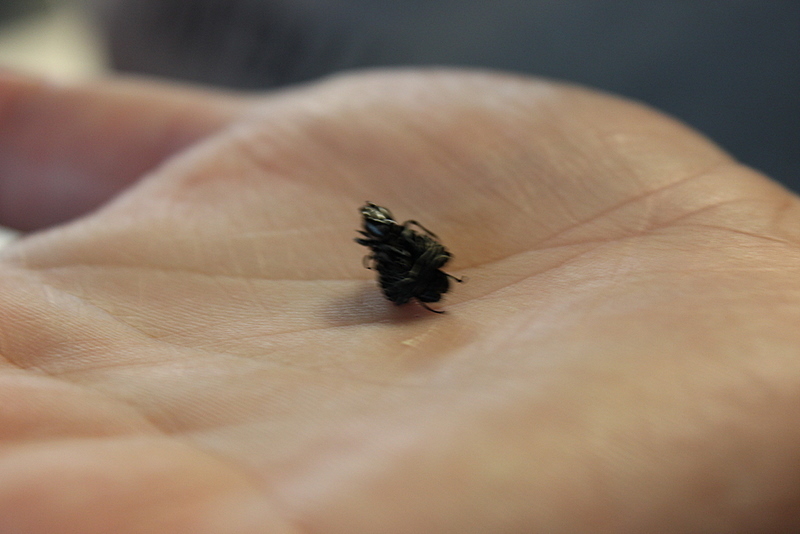 Then it started peeling its skin off. The skin came off from a crack in its head. It wiggled and waggled. Underneath the skin was a pupa. It was green and as long as a worm but fatter. 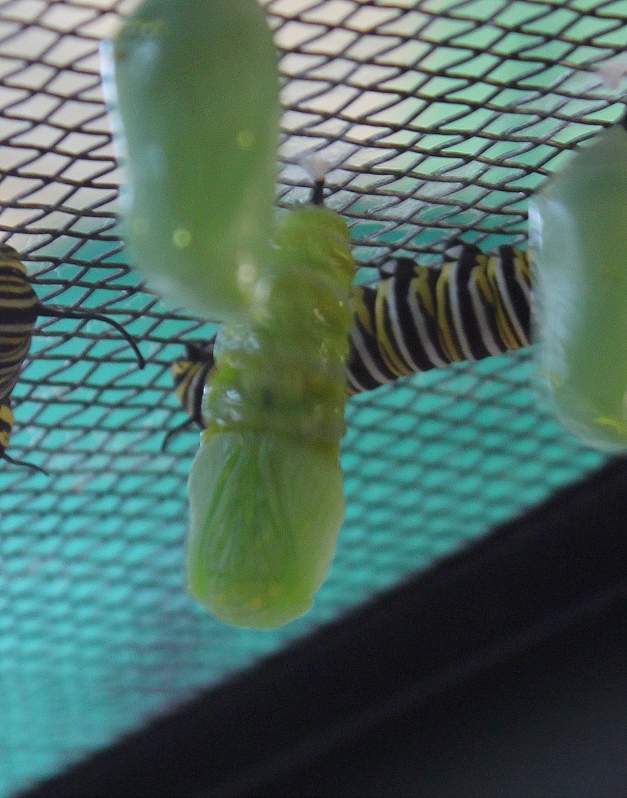 The caterpillar skin shrinked up and then it fell off. 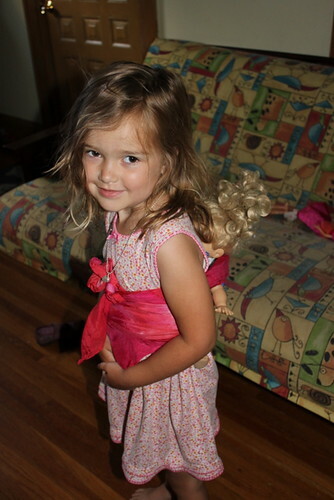 The pupa was fully made. 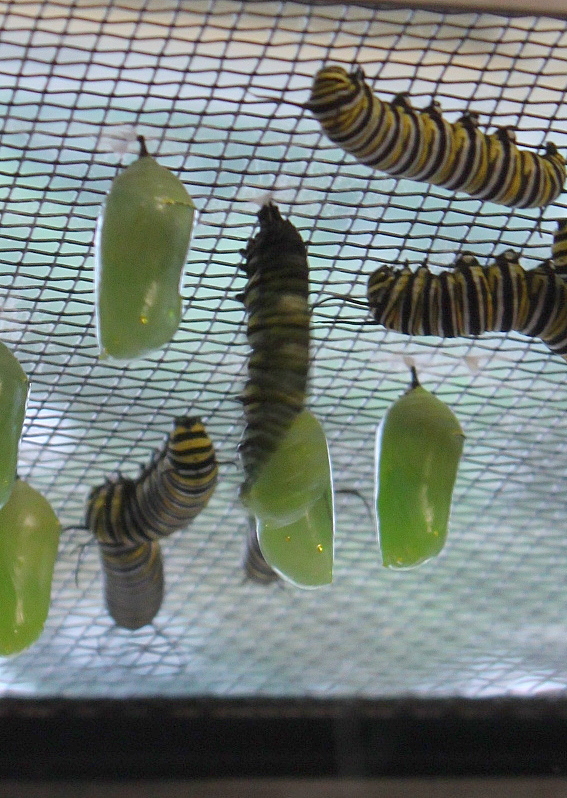 Later that evening we saw its chrysalis. 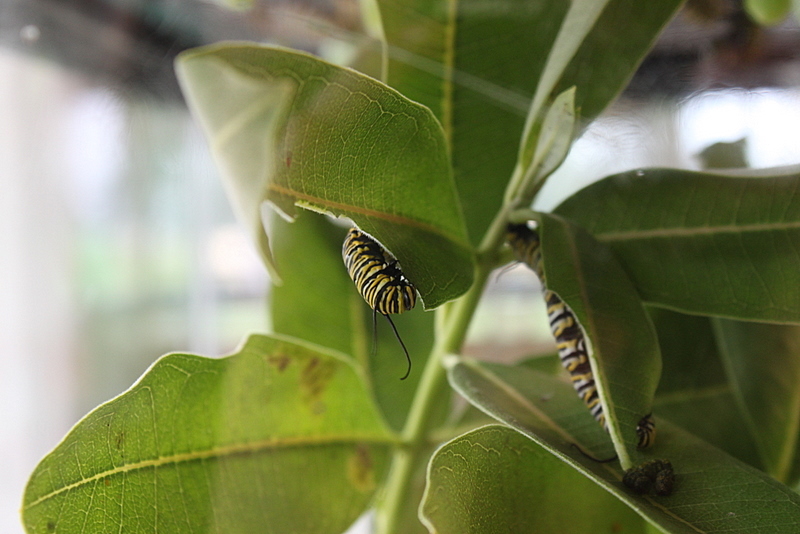 I really like the nature center. I learned that when dragonflies are made, the larva eats baby mosquitoes. They shed their skin and then they come out as a grown up dragonfly. 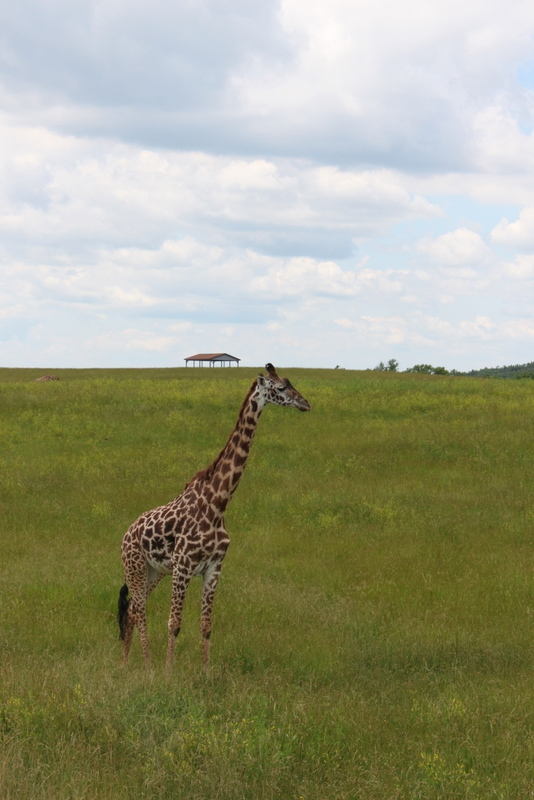 I went to the Wilds yesterday. 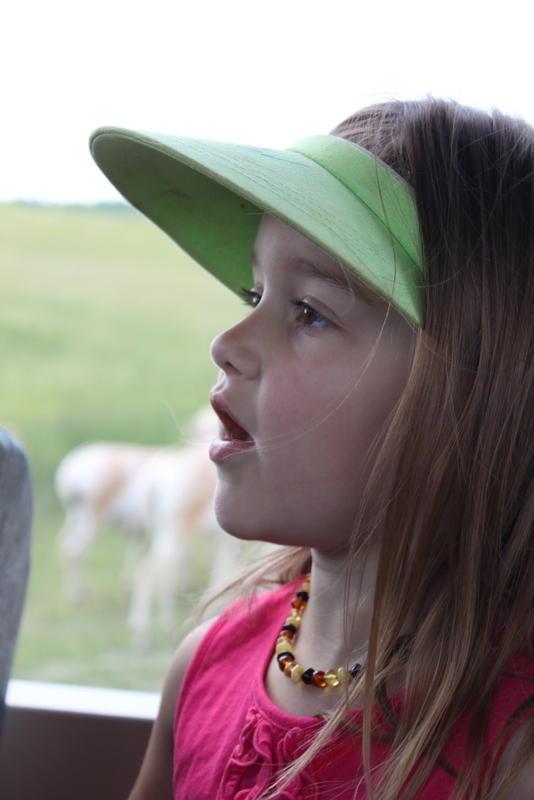 I went with Gram and Tompa and Mom and Dad because I like to see all the African animals. In Africa, they killed the rhinoceroses to get their horns. 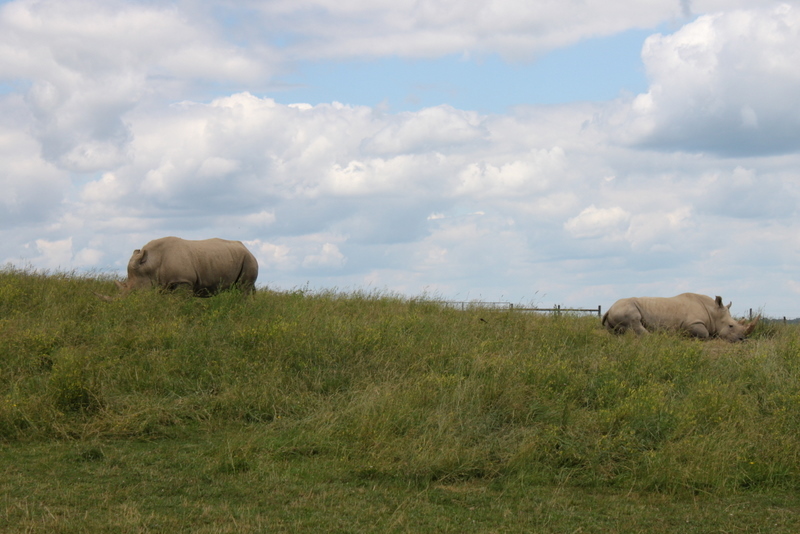 These rhinoceroses are in captivity. This is me. I’m the author of this blog. 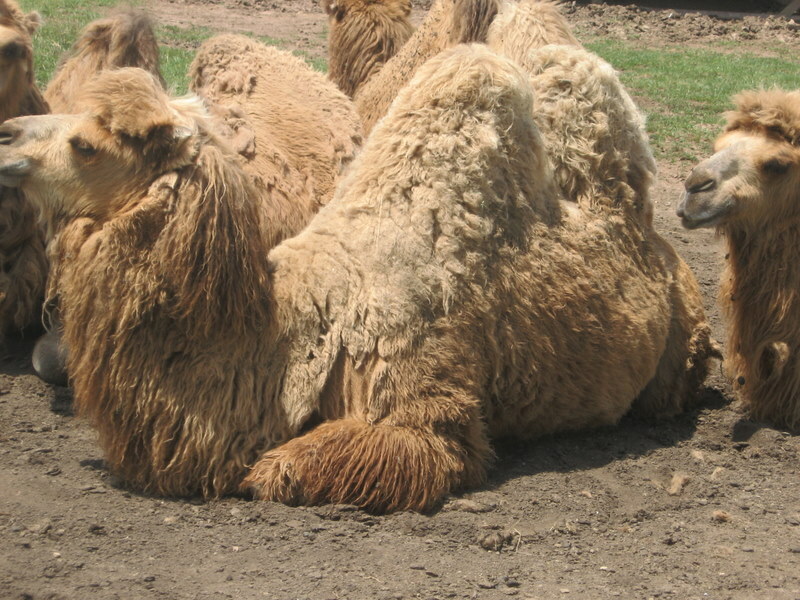 These Bactrian camels are shedding their fur because it is spring now. 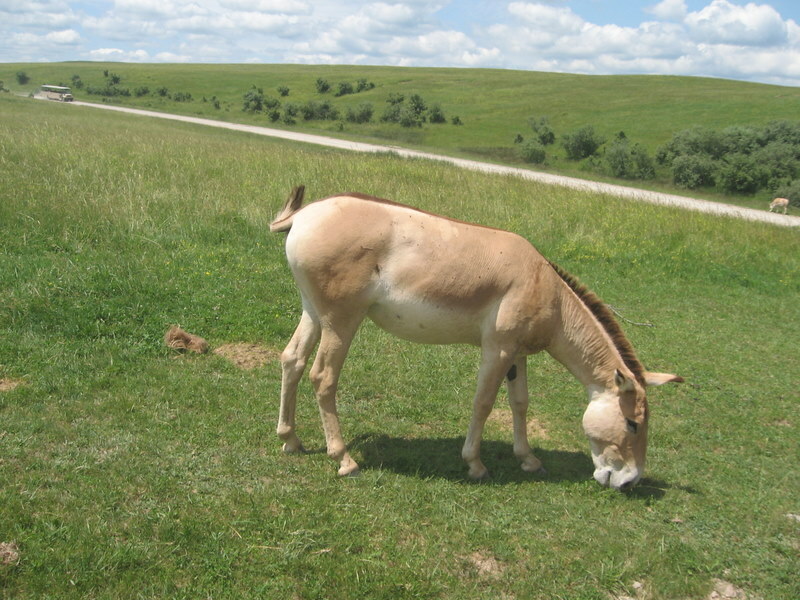 One of the Persian Onagers are pregnant. 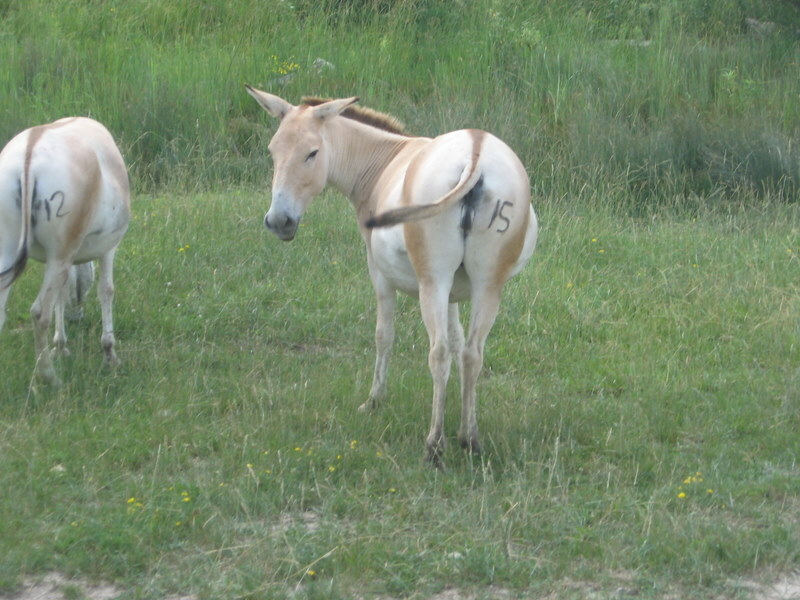 The numbers of the onagers help keep track of them and help keep track of how old they are. 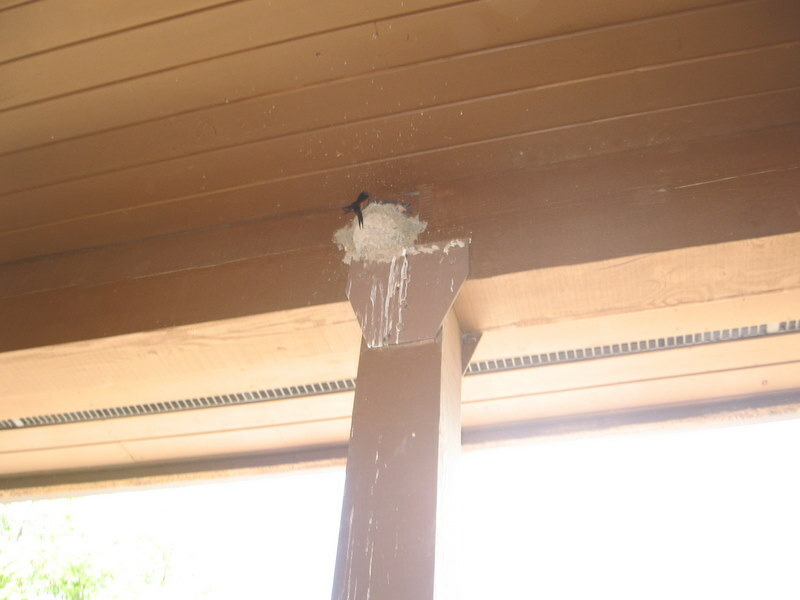 The barn swallow right here was having its babies. It’s an American species. This giraffe came from Africa. You can tell them apart from female and male because the males are usually a little darker. They can run really fast. Now, if you ever go to the Wilds, be sure to be safe and stay in the truck. And you can take pictures of the animals too. It was a great trip and it was great talking with you guys, so bye! PS. I took these pictures myself except for the rhino, the giraffe, and the one of me. Mama took those. We’re gonna roast marshmallows and I’m gonna bring my baby.